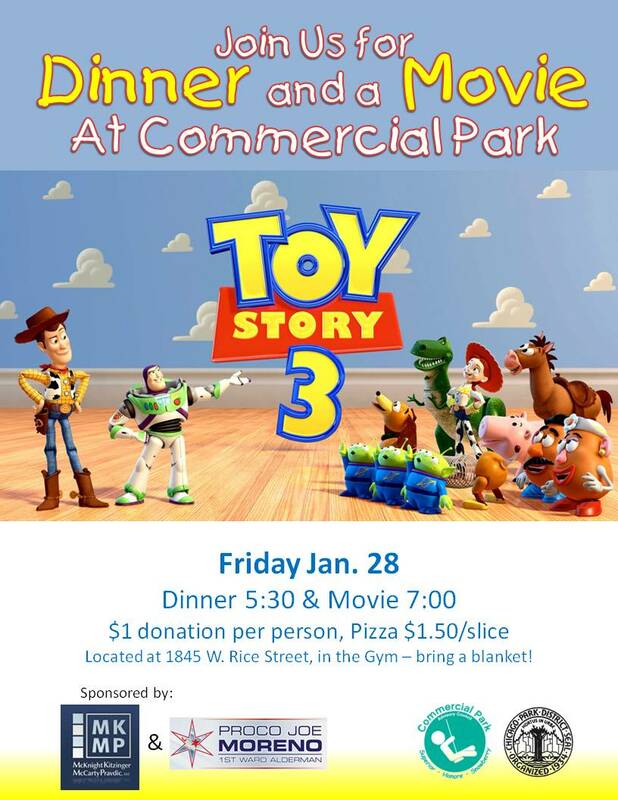 Bring the family to enjoy the film "Toy Story 3" at Commercial Park on Friday, Jan. 28. 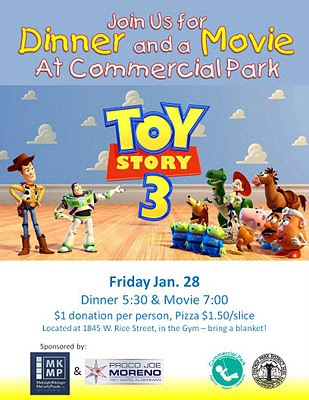 Doors open for dinner at 5:30 p.m. and a movie at 7 in the gym at 1845 W. Rice. A donation of $1 is suggested for the screening and pizza is available for $1.50 a slice. The event is being underwritten by the law firm of McKnight, Kitzinger, McCarty & Pravdic and 1st Ward Ald. Proco Joe Moreno, said Rhonda Locke of the Commercial Park Advisory Council.